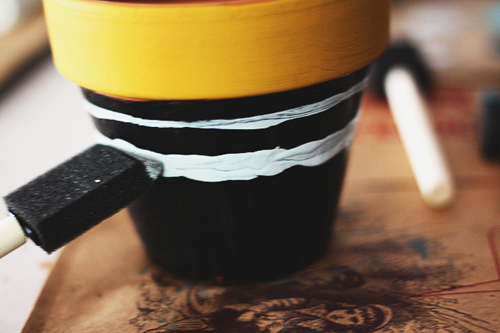 Here is a easy, 20 mins or less, DIY pottery project. 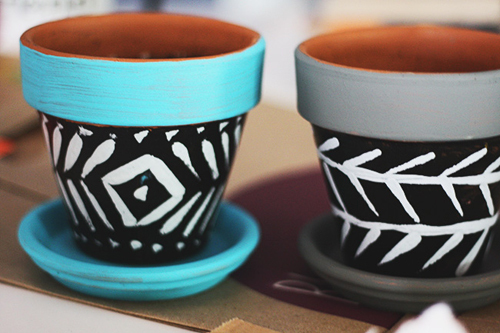 When Laurie Cosgrove [lauriecosgrove.com] for full instructions, was wanting something fast and simple she made these wonderful and colorful flowerpots painted with a tribal feel to them. Perfect for planting in come next Spring. Start with smooth terracotta flowerpots. Our's are perfect because they are imported from Italy and have velvety smooth sides. Not like Chinese or Mexican pottery which is very porous. 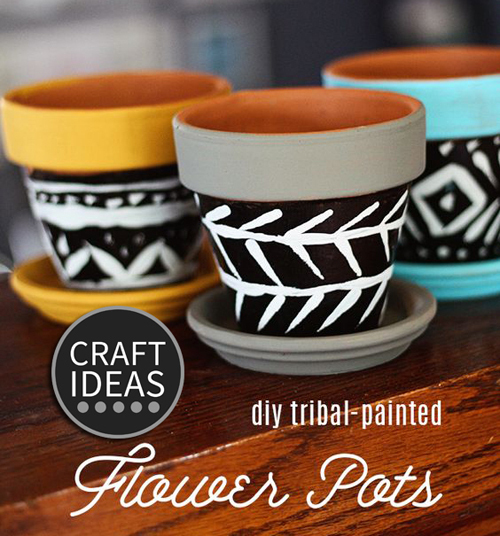 Cover the flowerpots with chalkboard paint from Home Depot. Use colorful paint to trim the rim of the flowerpots and the saucers that fit under them. Go to Pinterest to find patterns you like and can be inspired by. Detail on with small brushes or as she likes to use, a sponge brush. Either way decorating the flowerpot should be fun and creative. Have a go and share with us how it went!